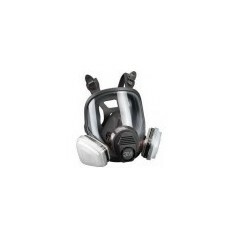 full facepiece reusable respirator offers lightweight comfort and ease of use. Combine with appropriate 3M™ particulate filters or cartridges to help provide respiratory protection against particulates and/or a variety of gases and vapors. This range incorporates combined eye, face and respiratory protection. This versatile system is suitable for many situations. It provides filtering protection against particulates and many gases and vapours, and can be used in conjunction with the 3M™ S200 Airfed System.